You must be 25 years old to rent this house! This home is directly bay front in Fort Morgan! When you walk into this beautiful home the first thing you notice is the amazing views! Prefer to come in off the beach and not get all spruced up for dinner? No worries. There is fully equipped kitchen for just that. Such a fun and cozy place to get away to! This house has 2 queen beds and a sleeper sofa for you to retire to after a great day out and about! This house also conveniently has an outside shower for you to rinse all of the sand off after spending all day playing at the beach! Take your fur baby to the beach with you! We just ask that you keep them on a leash and please clean up behind them! "Very nice stay, weather basically good, place nice, a little too much furniture, missing bottle opener/pot holder, great little beach right in back, dog friendly, short walk to the Gulf! " "Yay! Sandra, thank you for the review! I'm glad you liked Lady Bug's Place! It is a cozy little home with an awesome view. I look forward to booking your next vacation!" "We had to evacuate our original destination due to Hurricane Michael, and we because we had our dog, we needed something pet friendly. We came across Lady Bugs Place, and it was perfect for our remaining vacation. The large deck was wonderful for sitting out in the sunshine, or there was an umbrella or covered section if you needed shade. Our boys were able to fish in the bay, and the bay view was nice considering we weren't on the beach. But the beach was only a short walk away. It was quiet and peaceful. The master bedroom had a queen bed, and we would have preferred a king, but it was comfortable. My husband loved the "seclusion" of the area, and being away from all the crowds of people. At this end of the peninsula, there's nothing but beach houses, so it was very laid back and easy going. It was kinda far from town and a main grocery store, but if you stop and get the majority of food on the way out, you'll be fine. If you need a missed thing or two, there was a local market about 3 miles back, and another gas station/market maybe 6 miles away. We ate pizza from Pines Pizza and it was very good. We were about 1 mile from the actual Fort Morgan historical site, although we didn't visit this time around. There was also a Tacky Jack's restaurant about 1 mile away, but we were content to fix dinner in the house each night. We will likely visit this place again." "Thank you so much for the awesome review!! I am so glad that we were able to get you a place to stay to finish out your vacation! And, as an added bonus, our beaches down here are pet friendly! I certainly hope that you will give us a call and let us book your next trip!!" "The house was nice and had everything we needed. 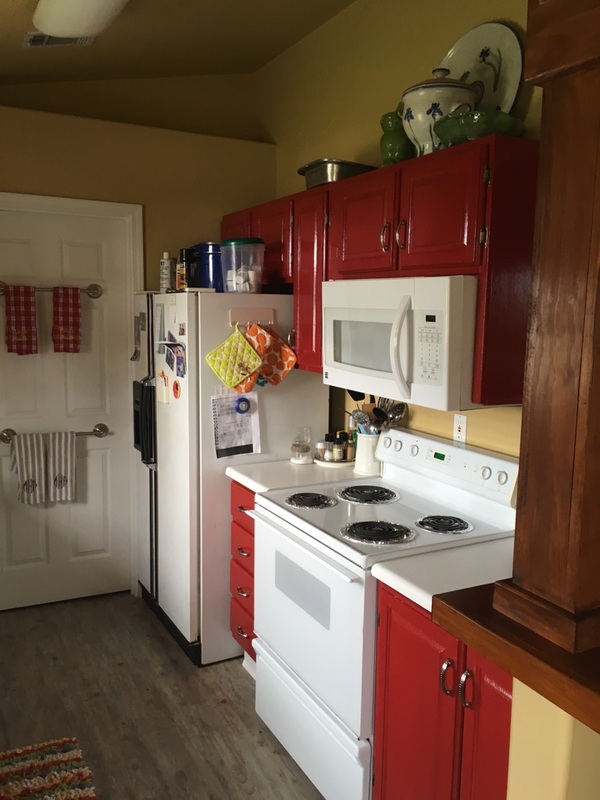 Could use a little sprucing up with a paint refresh, but otherwise, a very nice place." "Thank you for the review of Lady Bug's Place! We will certainly pass along your recommendations to the owner. And what about that view? I love it! Give us a call and let us get your next trip booked!" "Loved the location of the house.. Had our own private beach strip!!" "Awesome! The bay view from Lady Bug's is great! Give us a call and we will reserve Lady Bug's Place for you again!" "The house was great. It has all we ever needed." "Whoop! Whoop! We love to hear this!!" "Great home. My only concern is that it is very overcrowded with furniture. " "Thank you for the review on Lady Bug's Place! Other than the furniture concern, we certainly hope you enjoyed your stay!" "This property faces the bay but is within easy walking distance of the gulf shore beach. We took all our meals on the deck. Our group preferred the more laid-back atmosphere of the Fort Morgan area. The only down side to our rental was the previous guests had not taken their trash to curb. The outside area smelled awful until we figured out the source." "Lady Bugs Place was perfect for us and another couple to relax and enjoy the beautiful weekend. The porch was great for enjoying coffee in the morning and reading a book in the afternoon. Would definitely stay here again! Fort Morgan is a great area to escape the beach crowds!" "Yay!!! I am so glad you enjoyed Lady Bug's Place, the porch is definitely a great place to relax! We would love to have you back. Give us a call if you'd like us to secure another stay at Lady Bug's Place!" "Very nice and had a great time "
"Awesome! We are so glad you enjoyed your stay! Please come back and stay with us again!" "Good place for the price. Went down to fish a few days. You can park under the house and keep your boat dry. Would stay there again. " "That is awesome! We are so glad you enjoyed this cute little house on the bay! Give us a call and let us book for you again in the near future!" 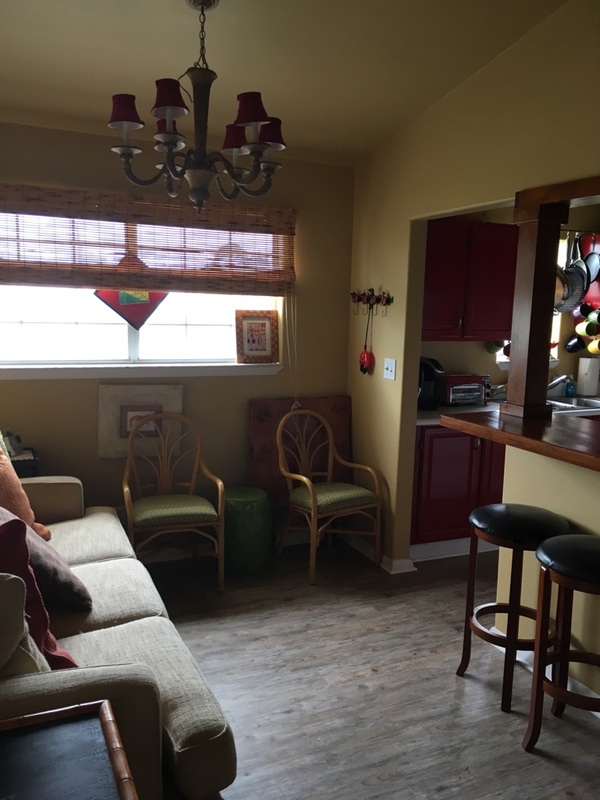 "Another good experience with Sunset Properties,Liked the property.A few small problems.The owner had left so many personal things that it was not easy to find storage room.A lot of furniture,But no dining table. " "Thank you for the review. We will pass along this information to the owner as we want our guests to be as comfortable as possible! Hope you come back and see us again!"